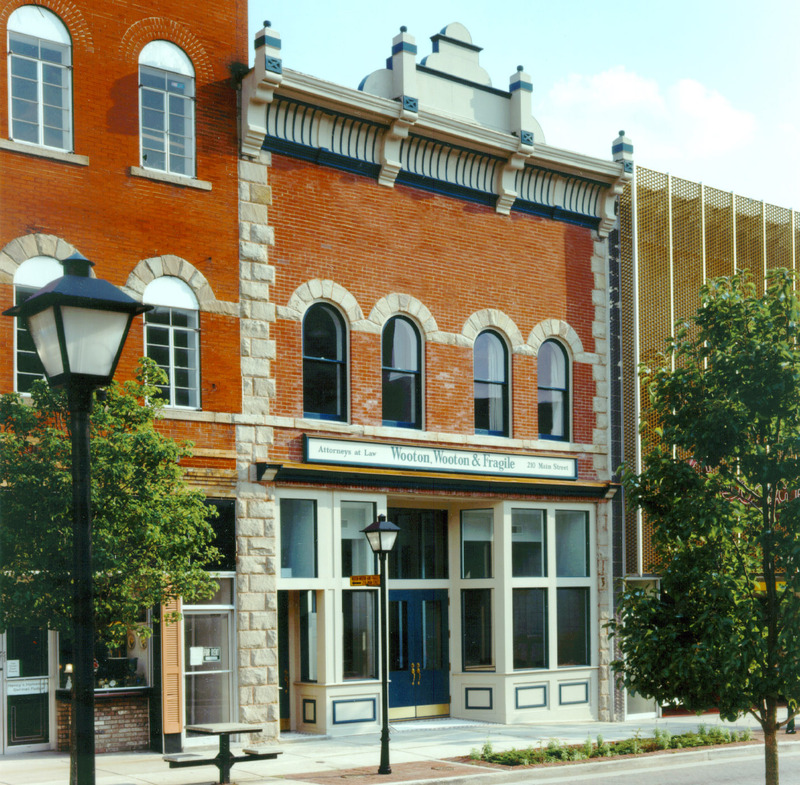 This project involved a restoration of one of the oldest buildings within city limits. Exterior restoration included masonry cleaning and repair along with reconstruction of storefronts and parapet. 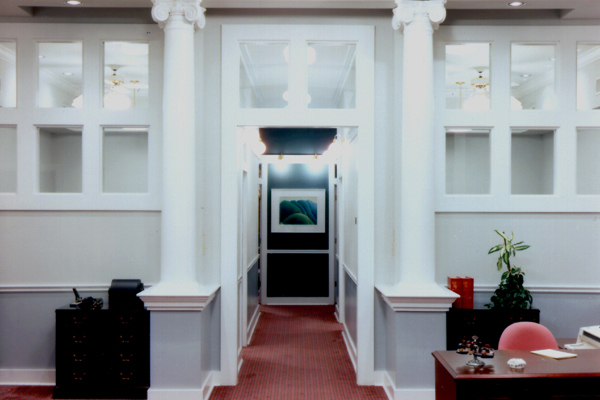 Interior work included a fresh configuration of offices, a conference room, and reception areas. Period trim and architectural elements were designed with glass panels to provide transparency and natural light to intereior spaces.